It’s been on my heart to write so many articles lately! Hopefully I find the time to put head and heart together so I can share with all my loyal readers! Today I want to talk about vitamins. Every year around the end of summer beginning of fall, I start seeing posts and articles about vitamins and immunity. Take “xyz vitamin” to fight off the flu or take “qrst vitamin” and you’ll never catch a cold again. Right!!?? We’ve all read or head someone say this. I CALL BULL! Taking a vitamin will not prevent you from getting sick. Activities such as hand washing and exposure to illness prevent you and your family from getting sick. I can take multivitamins until the cows come home, but my husband (a physician) gets sick every year, and drags it home to us! It’s just the nature of the business. Your diet! 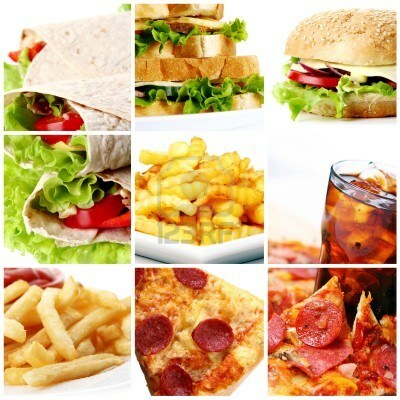 Most of us don’t eat as well as we claim to eat. If your diet is less than stellar, a daily multi-vitamin is the most important supplement you should be taking. Even if you’re a perfectionist eater, factors like age and health conditions can prevent you from absorbing all the nutrients your body needs through food alone. When picking a vitamin, it’s important to pick one that actually works otherwise what’s the point. How do you know if your vitamin works? Vitamins don’t give us instant gratification, so it may take a month or so to see any difference. First, are your hair, skin, and nails looking better? When I use a vitamin that works, my hair grows faster and my nails are thicker. Secondly, have your blood tested for vitamin deficiencies during your annual physical with your primary care physician. Blood work doesn’t usually lie. Finally, write down how you feel before starting a vitamin (fatigue, muscle aches, joint aches, moody, etc.) then review the list 60-90 days after starting your vitamin. If you’re ready to start taking a daily vitamin (and you should be! ),my favorite vitamin is X-factor. No, it’s not a game show hosted by Nick Cannon. It’s actually the only patented Aloe Vera blend vitamin on the market. 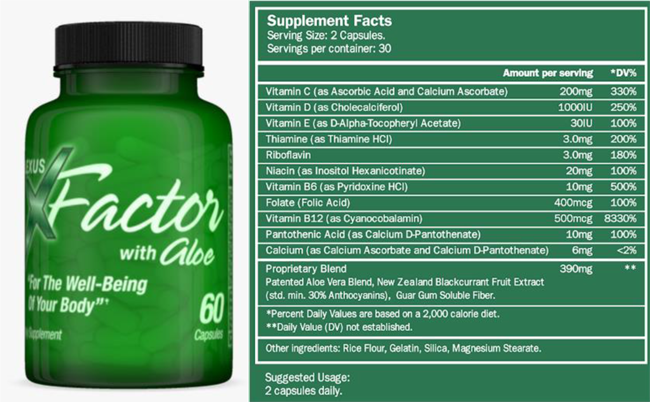 The patented blend of aloe vera helps the body absorb more of the vitamin up to 400%. 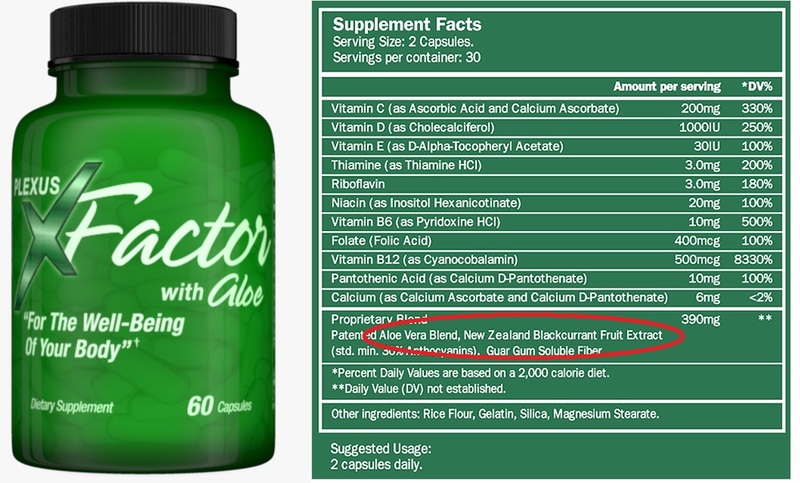 The vitamin also contains New Zealand Black Currant which offers a high degree of antioxidants, may help lower stress and increase mental alertness, supports a healthy immune system, and reduces muscle fatigue. In addition to these benefits, it also contains a full panel of vitamins we need daily. Click here to see nutrition information.